This stepup transformer “KSW” was produced exclusively for the Kansui,Shilabe,Waza. 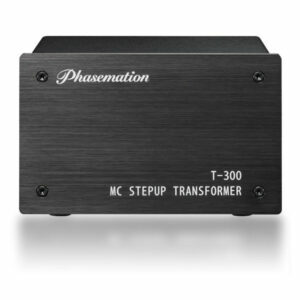 It is the stepup transformer which is ideal for a stereo cartridge of Miyajima-Lab. KSW removed the extra functions such as selectors to improve sound quality. – KSW is installed in a beautiful TEAK case. – Highest grade core material, permalloy 80 for the core of the transformer is used. – The front button is a demagnetization function. 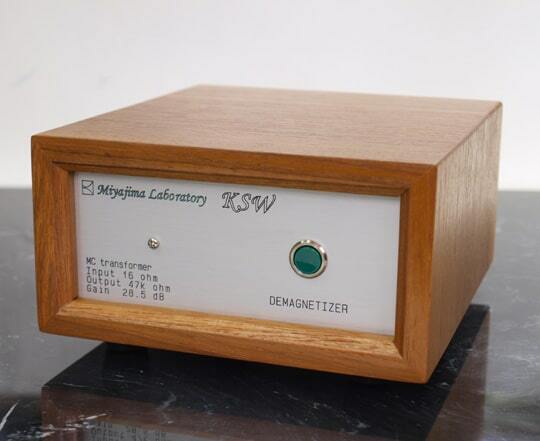 The DEMAGNETIZER switch removes the magnetization of a cartridge and the stepup transformer. Please push this button for ten seconds while listening to LP music. While you push the button, the music stops. A cartridge and a transformer are demagnetized by the interchange signal of the LP. A sound is slightly cleared by demagnetizing it. Please use demagnetization every several months. Because this demagnetization method does not add electricity, the cartridge is safe. Demagnetizer: Push button to demagnetize. Step up transformers can be a bit of a mystery. There are good and bad examples, and buying one from the same maker as your cartridge is no guarantee that you’ll get a decent, musical sound. 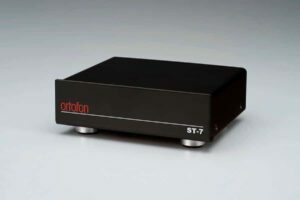 Often the best sounding SUTs can be prone to hum pickup, but fundamentally a good SUT will often be quieter than an active Moving Coil headamp circuit. Moving coil cartridges are designed to work best into a given input impedance, which for Miyajima cartridges is stated as 250 ohms for an active head amplifier. SUT loading is not the same, and please don’t ask us why – suffice to say that the Miyajima ETR-KSW has the optimum amount of gain, and it does work well with Miyajima cartridges even though it’s loading the cartridge at 66 ohms or thereabouts. Our demonstration Shilabe takes on a lovely, sweet, filigree detailed character through the ETR-KSW, with really well defined bass. The ETR-KSW really does let the fundamentally low distortion generator of a Miyajima cartridge to shine through clearly. Dave Cawley at Timestep has put the ETR-KSW on his measurement rig and confirmed that its frequency response is as wide as Miyajima claim, without any hint of ringing. Dave did say that the ETR-KSW is the first SUT that he has heard which does really deep bass, properly defined. Dave makes no secret of his preference for active MC head amps, so this is high praise. The ETR-KSW does in fact work extremely well with other MC cartridges that require a ‘nominal’ loading of between 50-250 ohms. 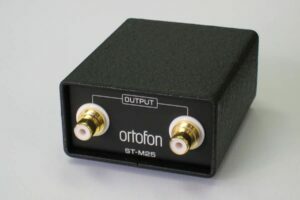 I have played a new old stock Ortofon Kontraounkt B through it and the results were very good indeed. The Ortofon does not have a Miyajima’s fundamentally low distortion generator so the ETR-KSW does not suddenly make it as good as a Miyajima cartridge, but the ETR-KSW will certainly bring out the best from a wide range of other manufacturers’ MC cartridges. In short, we are quite bowled over by the ETR-KSW. It is a thing of astonishing quality, and a lovely thing to hear. 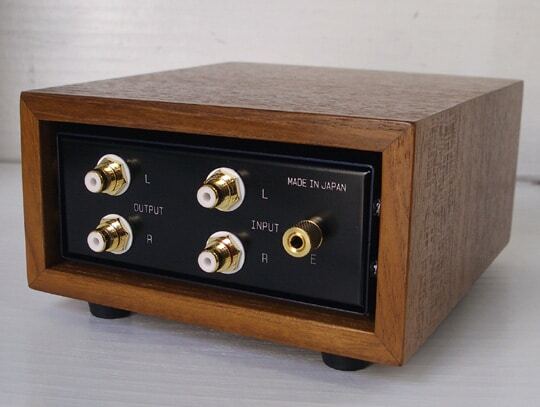 If you are interested in a Miyajima cartridge and the ETR-KSW, then do get in touch. We offer certain cartridges on home dem, and the ETR-KSW will be available too. The home dem scheme applies to the UK only.